Return to the days of high adventure in THE AGE OF HEROES, a fantastic arcade fantasy epic from the team that brought you the acclaimed C64 sci-fi hit release Organism. Choose your warrior from the title screen and then hack and slay your way through over a dozen exquisitely detailed landscapes, slaying assorted beasts and monsters that confront you during your quest to defeat an ancient evil that has returned to your lands. 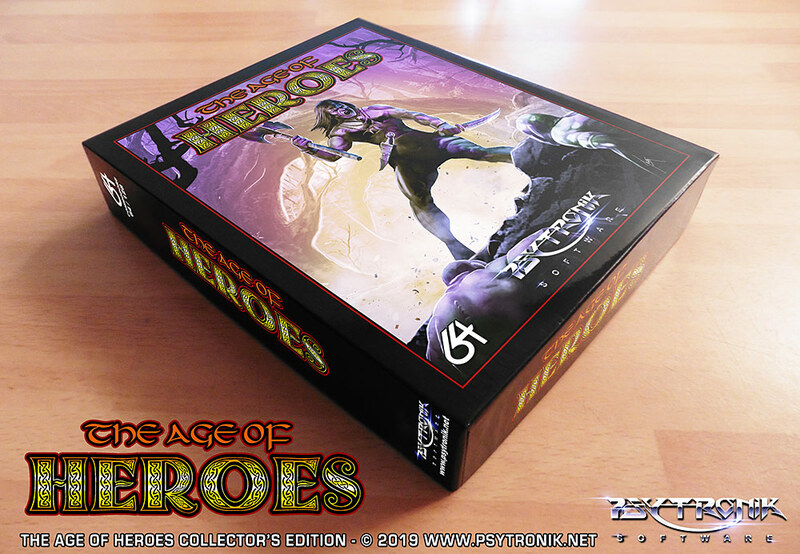 THE AGE OF HEROES will be released in April 2019 and will be available to order from Psytronik Software in standard cassette format, a special clamshell tape edition (limited to 50 copies), budget C64 disk, premium+ C64 disk and as a special Collector's Edition box set featuring the game on disk, soundtrack CD, artwork poster, keyring, badge, stickers + more!